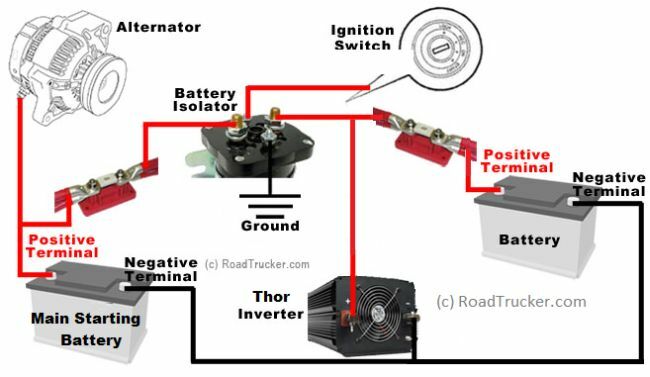 RoadTrucker recommends that you consider Kit 2, unless you have a 200 Amp fuse to protect wiring and Inverter from possible shorts. Kit 3 also includes a Thor battery isolator which will keep your main starting battery from being drained, should battery voltages drop below 12.7 volts. 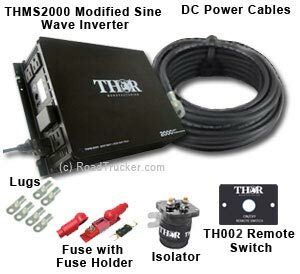 Low Maintenance Thor Inverters feature a high safety level and better efficiency. Kit 1 & Kit 2: 20 lbs.